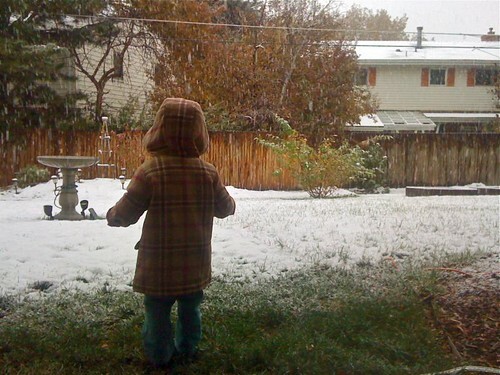 It's the second ( minor ) snow of the season and when we got home from daycare today Hadley wanted to go outside and play. But, like Tica, our female 7-year old dachshund does anytime it is cold out, she STOPPED and said " wet!" So we went inside and ate snacks.